Before my little brother had a stroke, I didn’t even know what a stroke was. 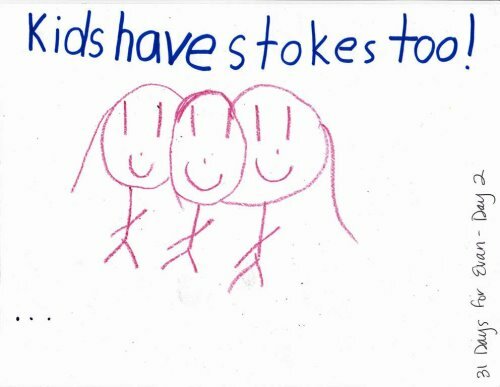 Now I know that kids have strokes. When people ask me why Evan wears a brace or walks a little funny, I make sure I tell them about his stroke. My mom and I even explained about strokes to my Daisy troop, so my friends could understand too. My name is Olivia and I’m 7 years old.